Benchmark is a software program to assess the performance of the CPU. It compares the performance of various computer across the different architecture. 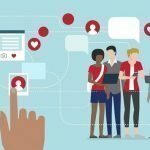 After the advancement of computer architecture, the requirement of benchmark software arises radically. If you want to judge how fast your computer is running, you can install benchmarking software for PC. It is a great way to take a snap of performance, compare system setup and troubleshoot the problem. Generally, it is more suitable for enterprise and Games PC. In light of this scenario today we will discuss the best ten benchmarking software for PC. There are hundreds of benchmarking software for PC available in the market. It is challenging to find the best one. On the other hand, it is also complexed to use benchmarking software correctly. So we will discuss the top 10 best and comfortable benchmarking software for PC. We focused this article based on Windows OS, but some of them can be used for MAC and other OS. Everest Ultimate Edition is more than a benchmarking software for windows with maximum information. This software provides details information regarding motherboard, operating system and storage. It also tests the benchmark of CPU, memory, and FPU. The software is costly, but it has a free trial too. CPU-Z is a benchmarking software for Windows OS which provides a plethora of information regarding the device system. It offers real-time measurement of memory frequency and core’s frequency. You can also know module specification, timings, size, and memory type. Via tool option, you can save the information in .txt format. 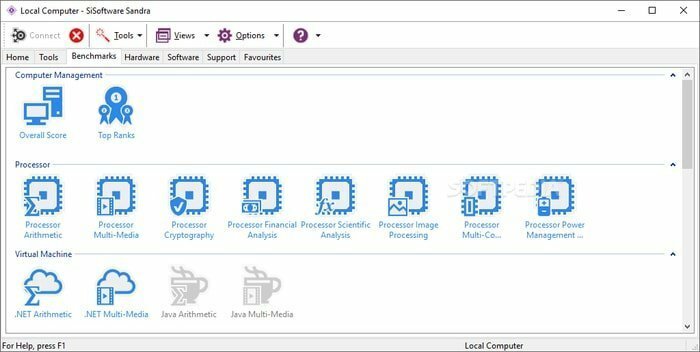 SiSoftware Sandra is a robust package to diagnostic the problems of your CPU. 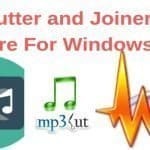 It can work for standalone PC or any PC of the network. This software is a collection of the module which analysis the performance of software and hardware. An additional module can be further extended based on requirement. The unique feature of this software is power consumption report. This software costs much, but there is a free option to use private or educational purpose. PerformanceTest is another utility tool to measure the benchmark test. It is similar to Everest Ultimate Edition, so it provides several preset benchmarks and compares with other CPU. 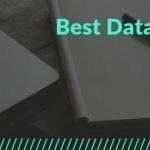 The sophisticated analysis of several components provides expert level data to analyze. Its unique user interface is crisp and shows 3D representation. Fraps is another benchmarking tool which is used for gaming PC. It shows frame per second ( FPS) getting in the corner of the screen. It measures the frame between two points and can perform customized benchmark. When the professional gamer makes a movie to upload on YouTube, then they may use this benchmarking software for Windows OS. 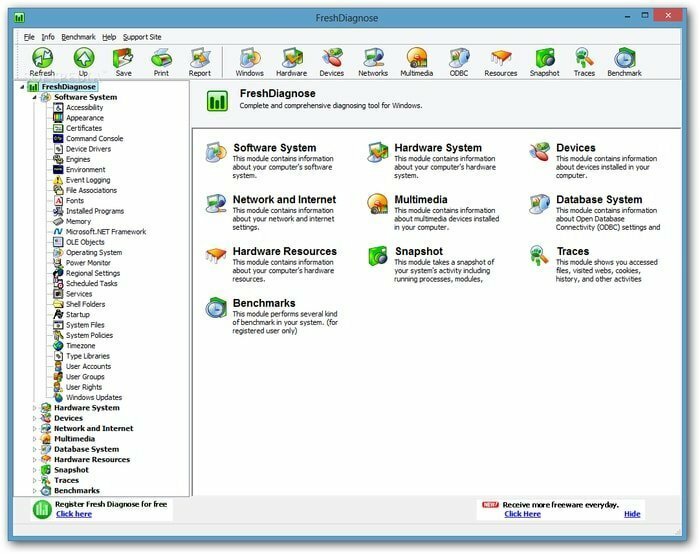 Fresh Diagnose is such a utility software which one diagnosis the performance of hard disk, CPU, video systems, etc. It can compare the performance with many types of hardware. 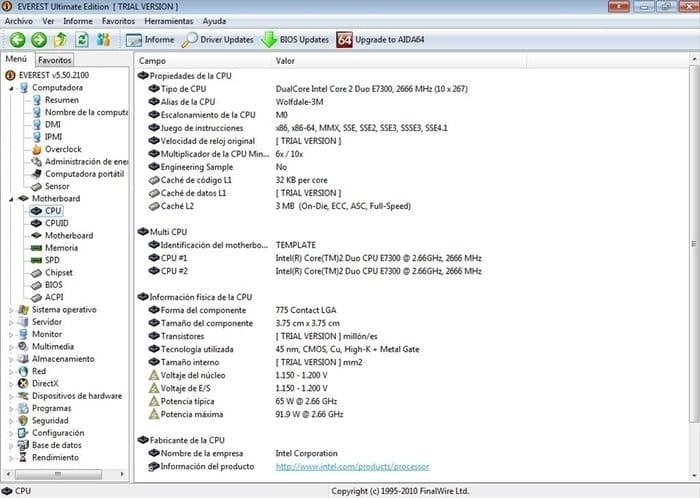 With this software, you can scan the computer performance like PCI / AGP buses information, peripheral information and network information. To increase the overall performance, you can use this free benchmarking software. CineBench is famous for its real-world cross platform test suites. It provides more accurate information regarding the performance of the PC. CineBench supports both Windows and MAC OS. 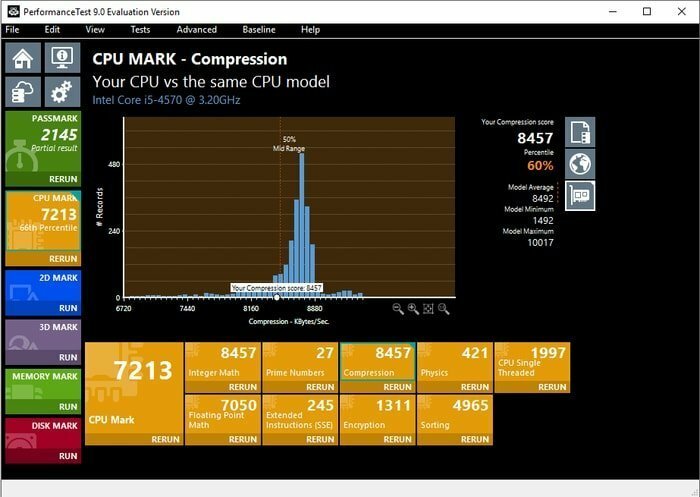 Anyone who needs to evaluate the performance of hardware then he/she can use this free benchmarking software. When you run the CPU performance test, then the output will be published on points. From that points, you can easily access the system. 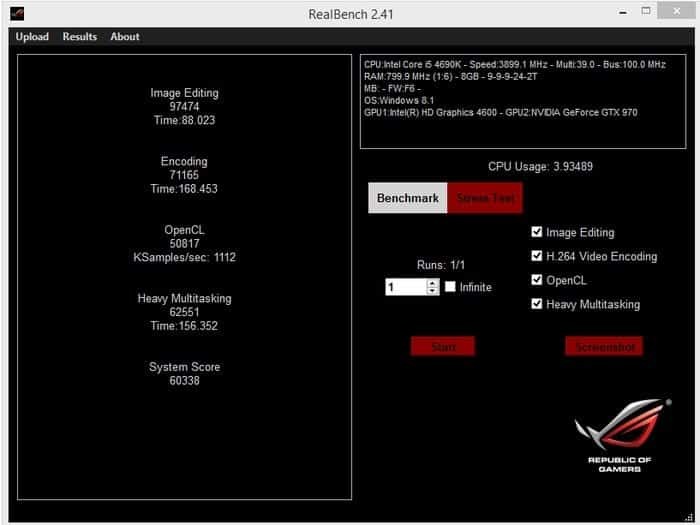 RealBench is an open source benchmark software which provides the real-world performance of the PC system. If you upgrade your PC, then you can use this free benchmarking software. This software recommends anyone who uses the 64-bit Windows operating system. Besides the benchmark, it also works for a stress test of PC. Stress test finds out the weak point of your PC. MSI Afterburner is widely used and famous for overclocking utility and performance control. It is the best live monitoring GPU tool for your PC. It allows its user to overclock and monitor the system. 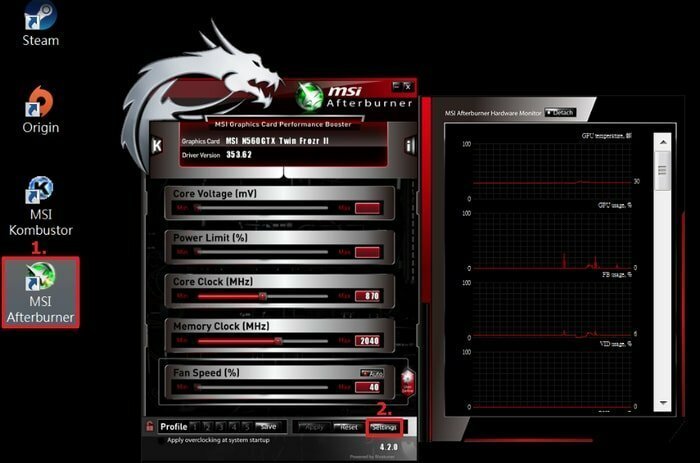 MSI Afterburner tracks every parameter like clock speed, fan speed, CPU temperature, and other related tools. MSI Afterburner utterly free of charge and you can use for any brand PC. FutureMark Suite is a useful performance monitoring tool of Windows which is useable for all types of hardware. It is a high quality benchmarking software similar to Unigine suite. If you are a real professional gamer, you can use the FutureMark Suite to manage, evaluate and control your PC. FutureMark Suite is costly, but you can download the free demo version of 3D Mark. Out of various benchmarking software for PC, it is difficult to find out the best one. On the other hand, you may not expend the money unless you need it. So you can try out the free benchmarking software before going for any final buying decision. 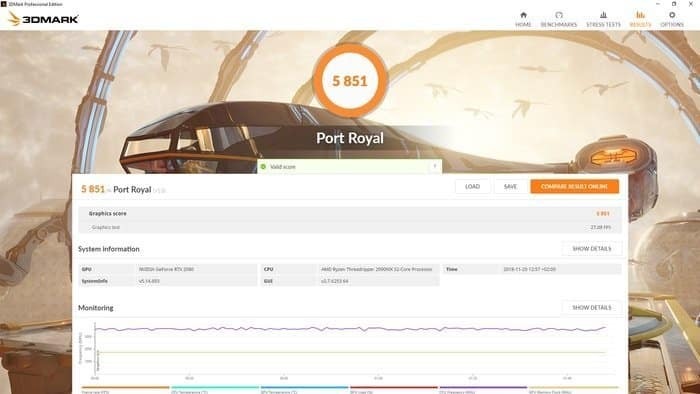 The real gamer and enterprise user use the pro benchmark software. If you are using Cloud Gaming Services, then you can use some Google Chrome Extensions to evaluate the performance and speed of your system. Please make some time to recommend us and share your suggestion in the comment below. Your valuable suggestion is appreciated.